Coinciding with President Abdelfatah Al-Sisi's first visit to the United States under the Trump Administration, we launched our #FreedomFirst campaign to shed light on the plight of over 60,000 political prisoners in Egypt. We demonstrated at the George Washington Monument and spread posters around D.C. 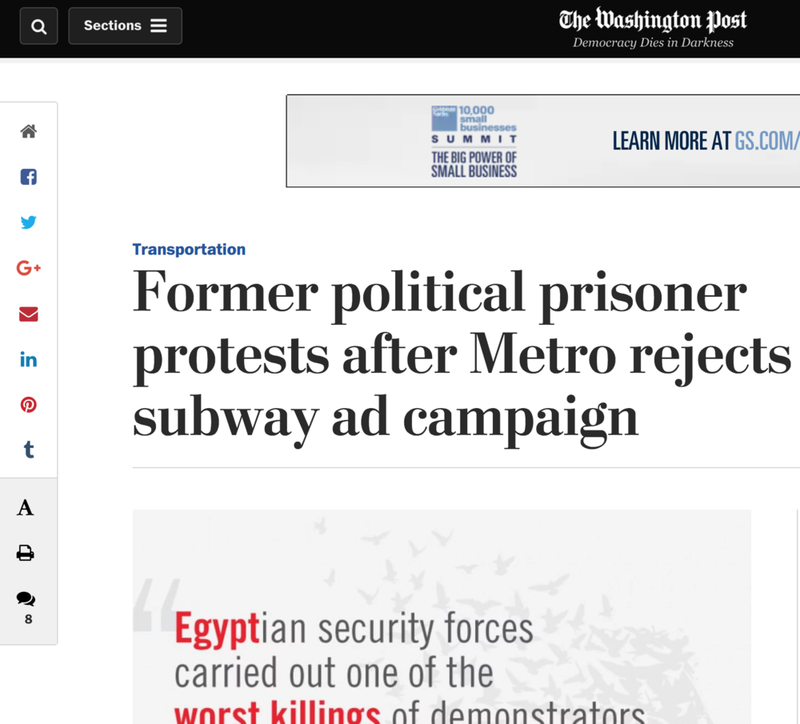 The #FreedomFirst Campaign trended #1 in Egypt and carried heavy media coverage with it.